You are here: Home / News / The Pink Ribbon Garden Project Is Happening! 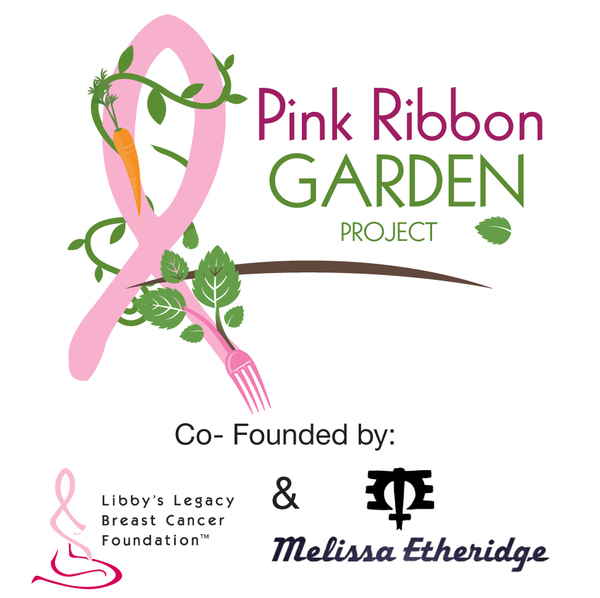 The Pink Ribbon Garden Project Is Happening! 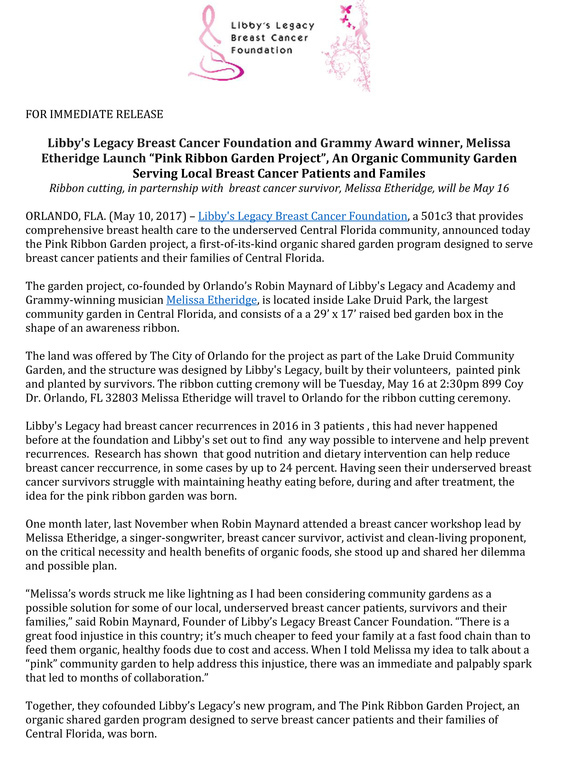 Melissa Etheridge and Libby's Legacy are excited to announce a partnership that will bring healthy, organic food to women who have undergone, or are currently undergoing breast cancer treatment! You may remember an article we posted a few months ago about this project. Well it's happening! After many months of collaboration, Libby's Legacy and Melissa are ready to get their hands dirty! The concept is amazing; gardens tended-to by and for breast cancer survivors and patients! The ribbon cutting for this groundbreaking and amazing project will be on May 16th, in Orlando, FL. 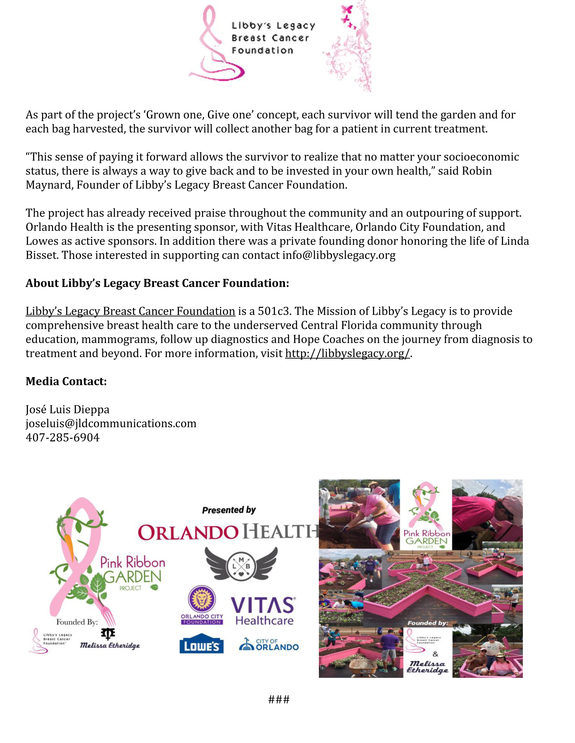 Click here to donate to Libby's Legacy Breast Cancer Foundation! We all can make a difference!